So you’ve got your plow picked out for your Ford F150, Ram 1500, or other vehicle, and you've got it installed, and ready to go. (And if you don’t, check out our handy research guide.) But now the million dollar question is: how do I get started? If this is your first time plowing your own driveway, or if you’re a seasoned pro looking to pick up some more tips, tricks, and best practices, the following guide will tell you everything you need to know about how to plow your driveway. 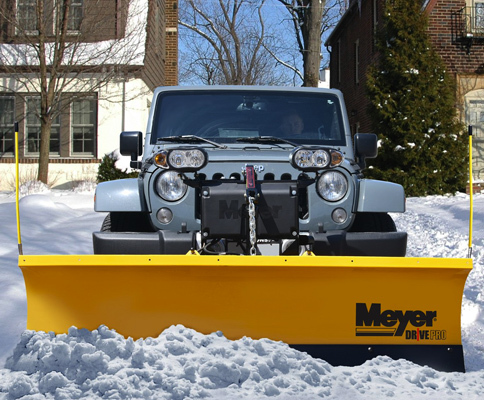 As soon as snow is in the forecast, it’s time to start preparing your plowing routine by staking the driveway. 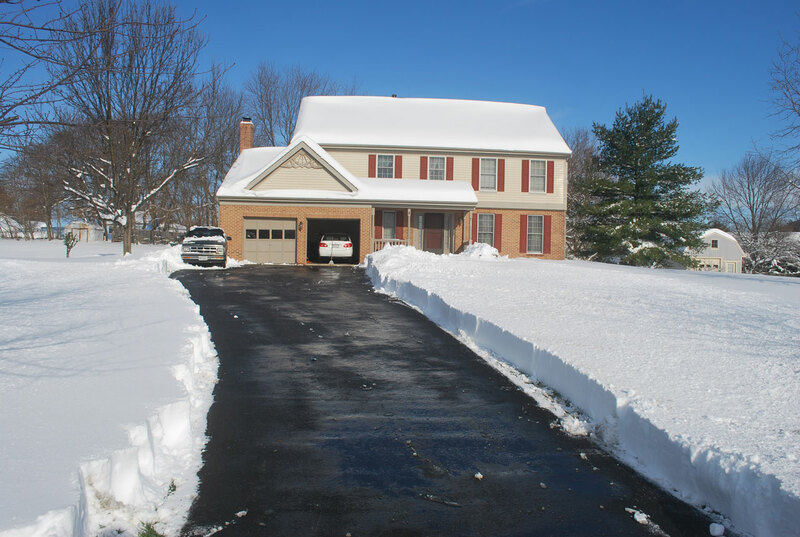 Staking your driveway is a great way to ensure you don’t damage your landscaping or plowing equipment. First, put down a wooden or fiberglass stake on each side of the entrance to your driveway. Then, set another marker every ten to fifteen feet on each side of a long driveway, and at defining points of each curve and expansion. This will allow you to easily see the dimensions of your driveway, even if you wake up to thick and undisturbed blanket of snow. And if you plan on plowing in the dark, early morning or night, a set of reflective markers can be a huge advantage. After all, Silverados and other vehicles that can support a snow plow on their front or rear are often pretty big and burly. You may drive this wide vehicle up and down your driveway every day, but when you start to zig zag and criss-cross back and forth you might find your driveway feeling much smaller. Tip: if the ground is too hard to easily place your stakes, try making an initial hole with a screwdriver or electric drill. If there’s more than an inch of snow in the forecast, you’re going to want to make a few passes of your driveway while it falls. The more snow that piles up, the heavier it will be and the more likely it will have hardened, making your job a whole lot harder. Crawling out of bed in the middle of the night to push an inch or two off of the driveway may seem tiresome, but come morning you’ll be glad you did it - especially when you see what your neighbors are trying to shovel up. 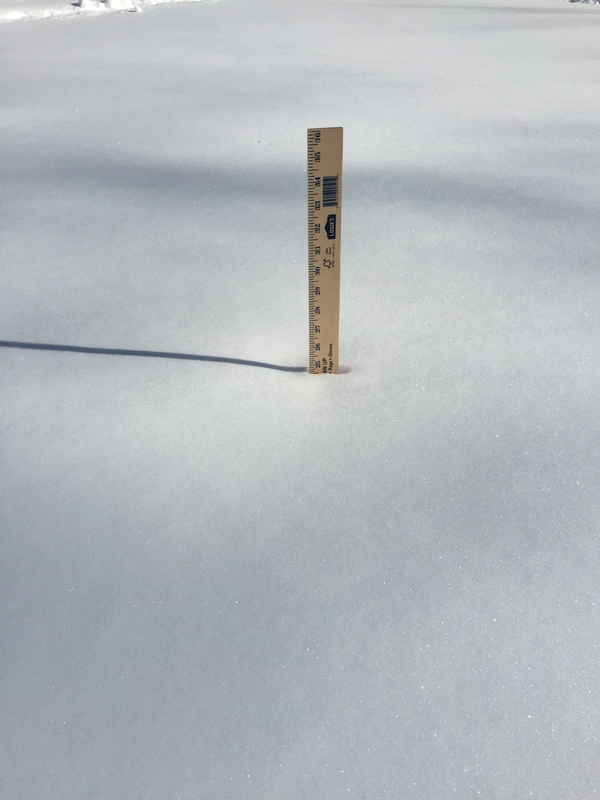 There’s nothing worse than getting your driveway clear and snow-free, only to look outside and find a new mountain of snow just at the entrance of your driveway. Unfortunately, if another plow service is going to come through your neighborhood or the road your driveway leads to, that’s exactly what may happen. As the municipal plow comes through your area, they’re liable to create a brand new barrier of snow and slush at the foot of your driveway - unless you plan ahead. Carve out a sizable indentation on the right side of your driveway. This way, when your city or neighborhood plow drives through, the snow they’re pushing will have a place to fall instead of getting dragged across the opening of your driveway. For short and straight driveways, back dragging should be your go-to plowing method. To do this, just drive as far into the driveway as you can, lower your plow, and reverse - pulling snow back with you toward the street. Even though modern trucks such as Nissan Titans and the like come standard with loads of high-tech safety features, it’s best not to rely on mirrors or back-up cameras while you do this. The safest solution will always be to turn your head and look where you’re going as you back up. Keep your head and limbs inside the vehicle at all times, and keep your eyes peeled for pets and pedestrians. Once you’ve cleared a plow’s worth of snow, find a place to pile it up that will be out of the way of your driveway and neighborhood traffic. Remember, you may have to plow a few rounds in one snow storm, so give yourself plenty of space. Think of a place where the snow will sufficiently drain as it melts. Never pile snow over a drain, or near a fire hydrant, mailbox, or electrical box. For a longer driveway, backing in is usually a more worthwhile strategy. If you can back into your garage before the snowstorm, it might be as simple as opening the garage door and pushing your way out. It may be a good idea to angle your plow, and simple push the snow to the sides of your driveway. Consider how much snow is expected to fall, and whether the snowpiles will get too tall. If the truck or SUV you're using to plow with has a good turn radius, like say a Toyota Tunda, you might be tempted to turn around at the end of your driveway and start plowing on the trip back towards the house. This might work if you put your plow at an angle and push all the snow onto the side, but if you're plowing straight you're going to end up with an annoying mound of snow right in front of your garage. If straight pushing is essential, you can always back up in the path you just cleared, and start plowing again from the start. If the snow is light and fluffy, you may be surprised to find you can plow even a 400+ foot driveway all at once. But, heavier wet snow may seem too tough to move. In this case, you can take a couple of passes, lowering your blade an inch or two on each pass. 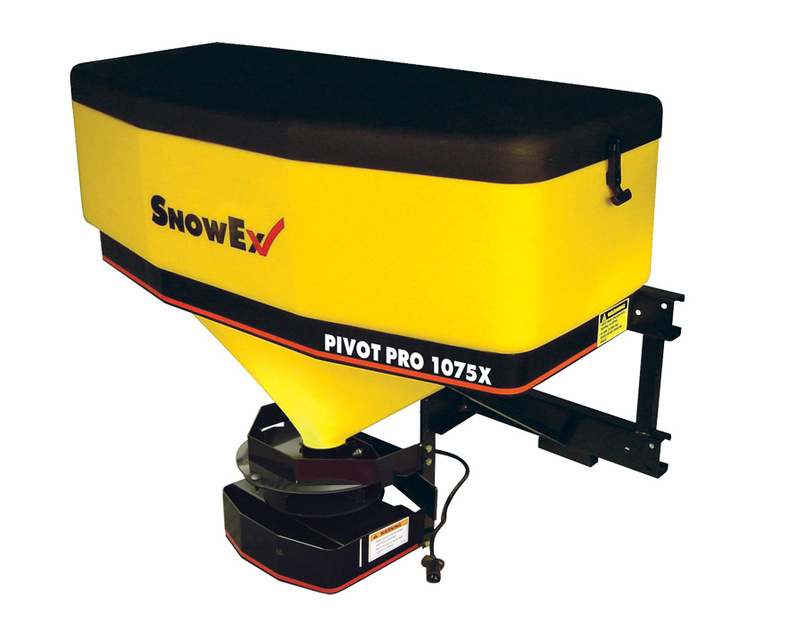 For commercial jobs and parking lots, a salt spreader is a must have sidekick for your plowing set-up. But for at-home personal use, a spreader is not always necessary. However, if your driveway is long, curvy, steeply inclined, or poses any other potentially hazardous problems, a salt spreader can really come in handy. Chunky rock salt will not only provide much needed traction to your winterized driveway, but it will lower the freezing point of ice and snow, turning what would be slick ice on your concrete into salt-water that can drain away like rain water. 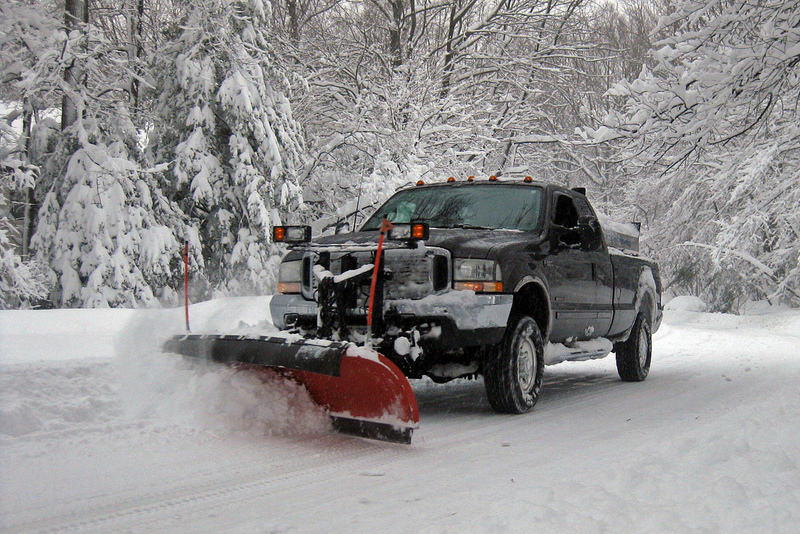 We hope these tips are helpful for you in improving your driveway plowing prowess. This knowledge should be enough to get you started on the right foot, but mastery of the snow plow is like a sixth sense that comes with experience. But if you stay careful and follow these tips, you’ll be a plow master yourself in no time. Once your driveway is free of snow, be sure to check out our guide on how to de-ice your driveway and if you are in the market for a new snow plow check out our list of the Top 10 Best Snow Plows in 2018.